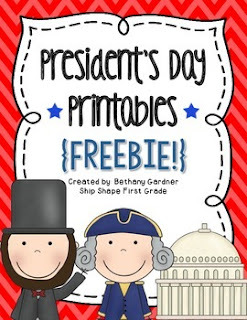 Right now you can sign up for a free account at Teachers Pay Teachers and you can download a FREE President's Day Printables and Activity Pack. This pack offers a word search, math equations sheet, a coloring page and more. Intended for grade's K -2nd.